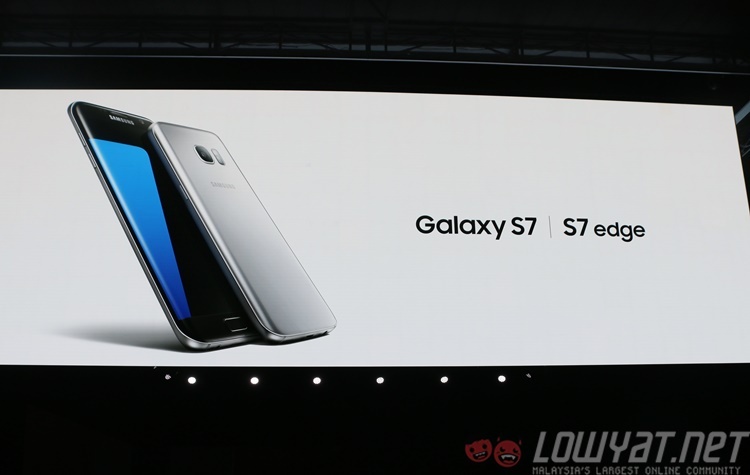 Samsung today unveiled its latest flagship smartphone, the Galaxy S7. 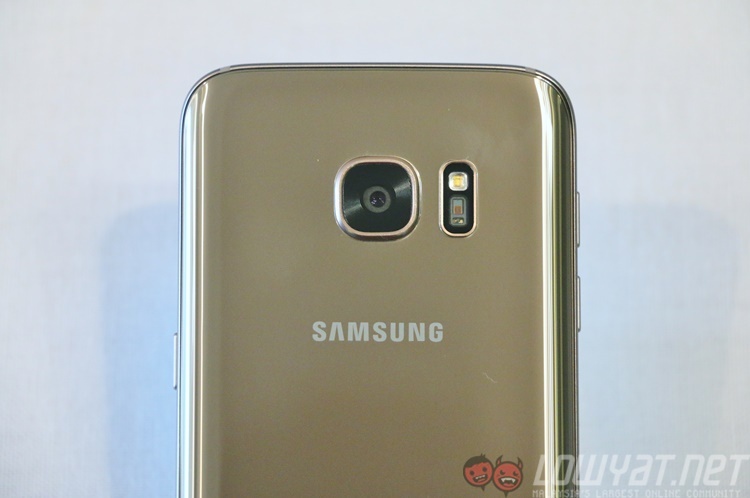 In addition, the Korean giants also announced the S7 edge, quashing rumours of up to four Galaxy S7 variants. 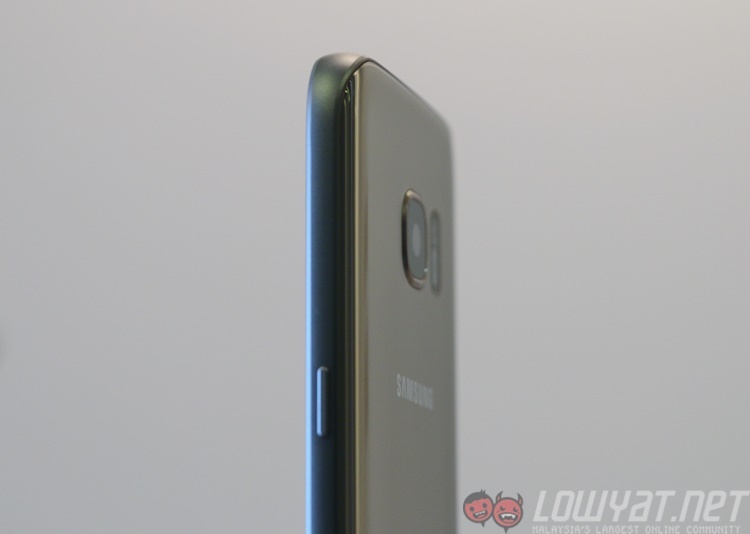 The Galaxy S7 – with the many, many leaks circulating in recent weeks – holds few surprises. That said, the features that were not leaked out turned out to be pretty exciting in their own way. 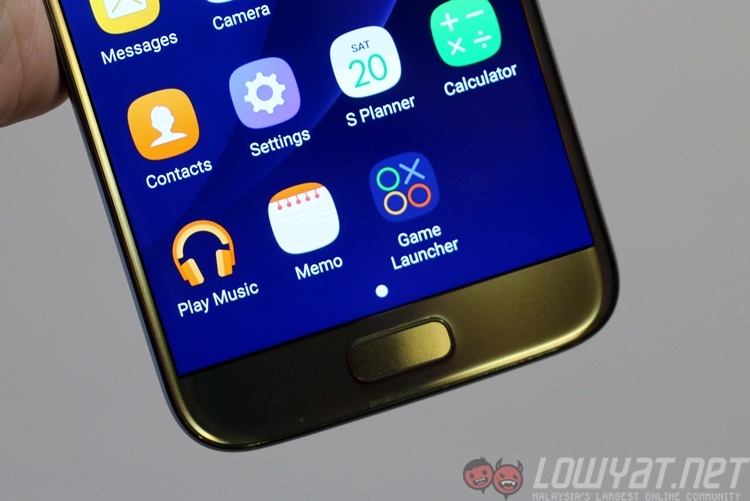 Samsung is positioning the Galaxy S7 as being “much more than just a smartphone”, after all. 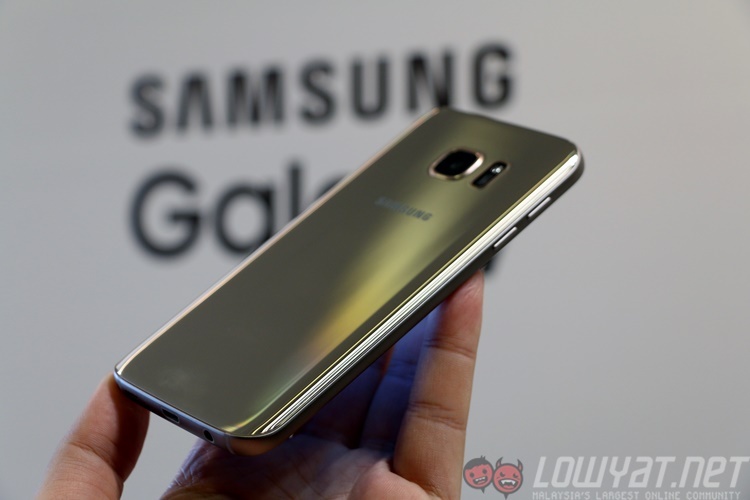 Sporting a 5.1-inch 2560 x 1440 Super AMOLED display (with a new Always On Display mode), the Galaxy S7 is powered by Samsung’s beastly Exynos octa core processor, with four 2.3GHz cores and four 1.6GHz cores; Samsung has not confirmed which Exynos SoC it is, but it is highly likely to be the new Exynos 8890. There will also be a quad-core Qualcomm Snapdragon 820 variant for selected markets. Inside the Galaxy S7 is 4GB of RAM, a 3,000mAh battery, 32 or 64GB of internal storage, and yes, a microSD card slot makes a welcome appearance. 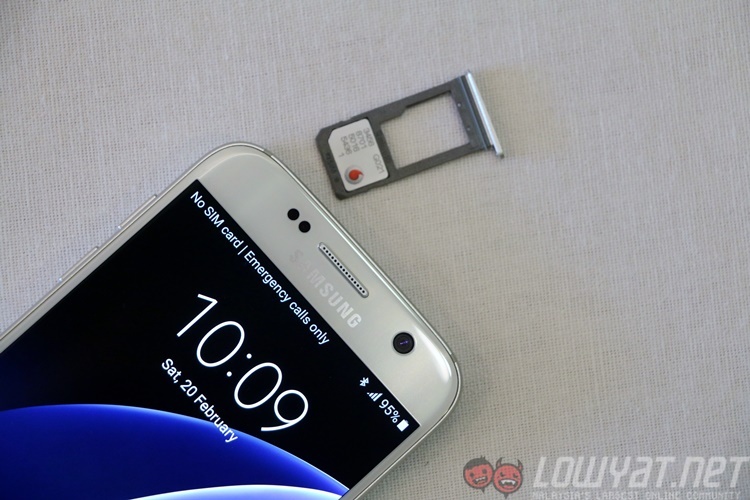 Supporting up to 200GB cards, the GS7 will sport a hybrid SIM tray, allowing two nano SIM cards or one nano SIM and one microSD card to be used at any given time. Samsung Pay support naturally makes an appearance as well. 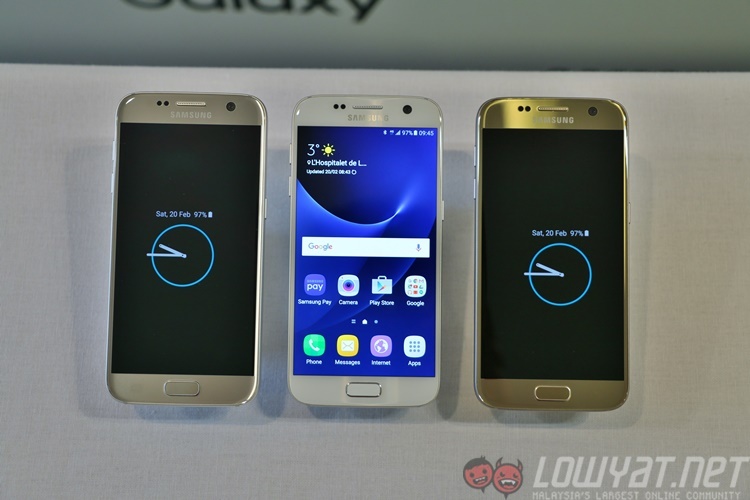 As for the Galaxy S7 edge, it shares virtually the same set of specs with the Galaxy S7, with the only differences being display size and battery capacity. Sporting a larger 5.5-inch 2560 x 1440 display, the S7 edge’s battery capacity is also understandably larger, at 3,600mAh. Both the S7 and S7 edge supports fast wired and wireless charging. 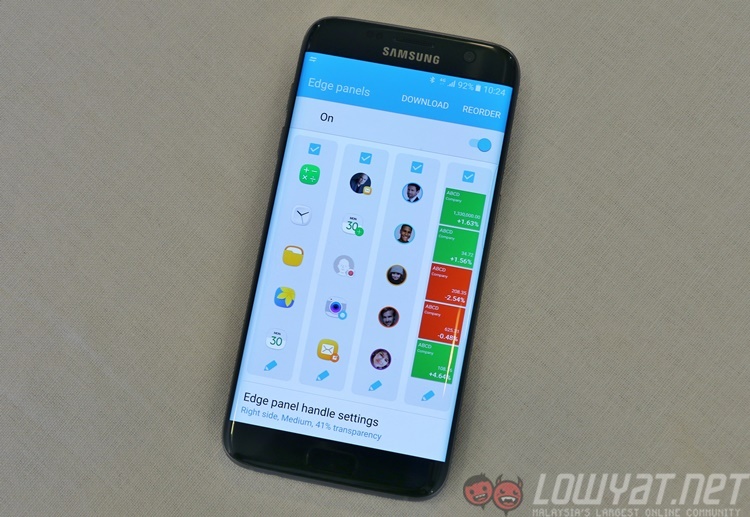 The Galaxy S7 edge’s Edge UX has now been enhanced. Following more user feedback, the Edge UX now supports two columns of icons from just one before. Besides the Apps Edge and People Edge, there are new Edge Screens, namely Task Edge, Quick Tools and new third-party panels. Both the Galaxy S7 and S7 edge feature IP68 rating, allowing it to be submerged under a 1.5m body of water for 30 minutes and still surviving. Like the recent Sony Xperia Z5 series, Samsung achieves this level of resistance by placing seals inside the device itself. As for the camera, the S7 camera is smaller than the S6 at 12MP, but the larger 1.4 micron pixels mean each pixel is 56% larger than the S6. The larger f/1.7 aperture is also larger than the S6’s f/1.9 sensor, and both yield one outcome: better low-light performance. More importantly, the S7 camera also features a new Dual-Pixel sensor, the first smartphone in the world sporting it. Originally introduced by Canon on the EOS 70D DSLR in late 2013, a dual-pixel sensor means each pixel site contains two photodiodes that are used as imaging imaging pixels and phase-detection AF pixels, resulting in significantly reduced focus times. A dual-pixel sensor works best in “live view” mode on cameras, meaning it’ll work effortlessly well on a smartphone camera. With a 60% faster GPU onboard, Samsung is also positioning the Galaxy S7 as a mobile gamer’s machine. The S7 is the first smartphone in the world to support the new Vulkan API, considered by many to be the successor to OpenGL. With Vulkan support, Samsung is opening up opportunities for developers to not only create high-performance mobile games, but to also integrate PC or console games to support mobile extension with the Vulkan API. 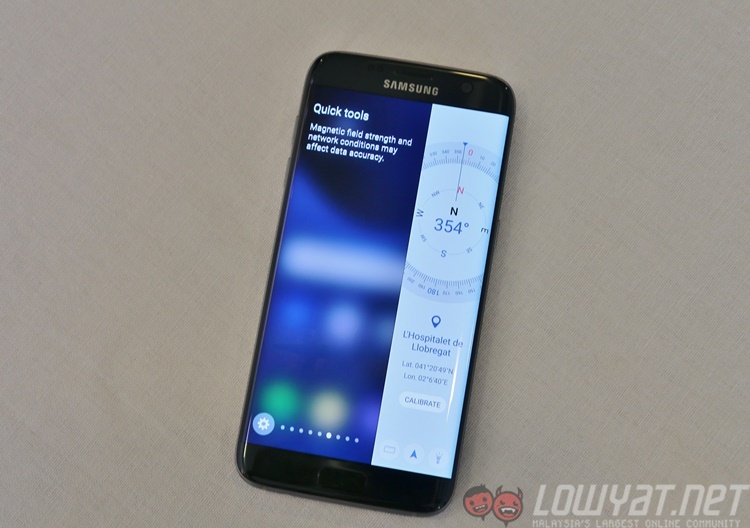 Samsung has also actively addressed any potential heating issues on the Galaxy S7 devices. Both the S7 and S7 edge feature water-cooling technology, with copper pipes filled with water looping around the CPU and GPU actively cooling the S7 hardware even under the heaviest loads. 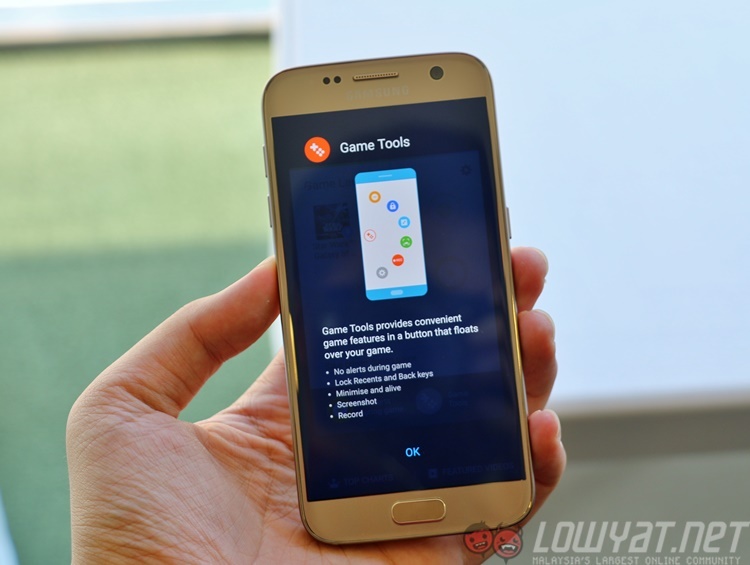 Finally, the Galaxy S7 naturally features an enhanced suite of security features. From an enhanced KNOX software layer, pre-loaded VPN and antivirus software, and hardware root of trust, the GS7 can be configured to be one of the most secure smartphones around. Samsung has also successfully received government accreditations from security agencies from the US, UK, China, Finland, France and Australia, certifying its KNOX-enabled devices for government use. 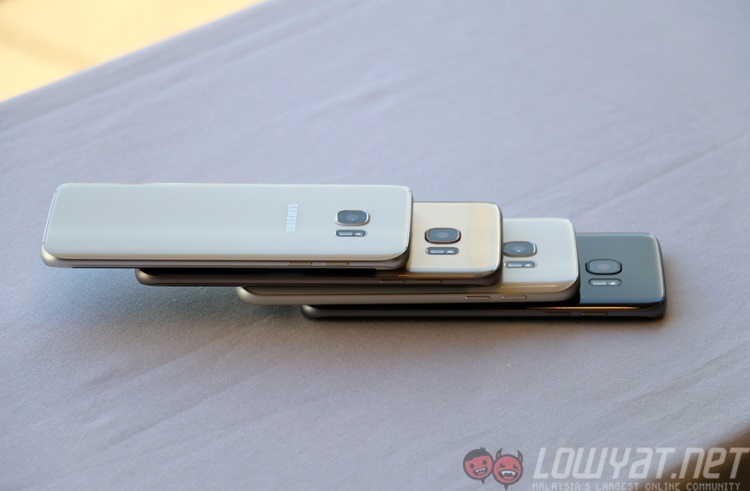 The Galaxy S7 and S7 edge will be available in four colours: black, white, silver and gold. An aggressive global rollout is expected to commence from 11 March 2016, where pricing details will then also be revealed.